A referral is a name volunteered by a client as someone needing the advisor’s help. But simply receiving the name gives no insight into how interested or qualified the lead is. 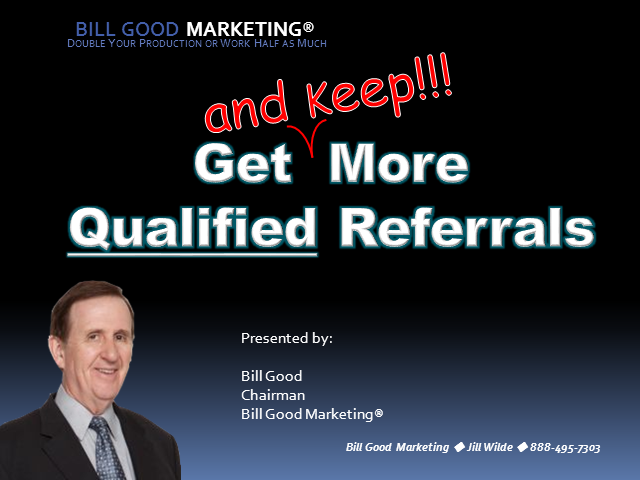 In this presentation, Bill Good shares how to get your clients to refer those who are interested in doing business now or in the near future.